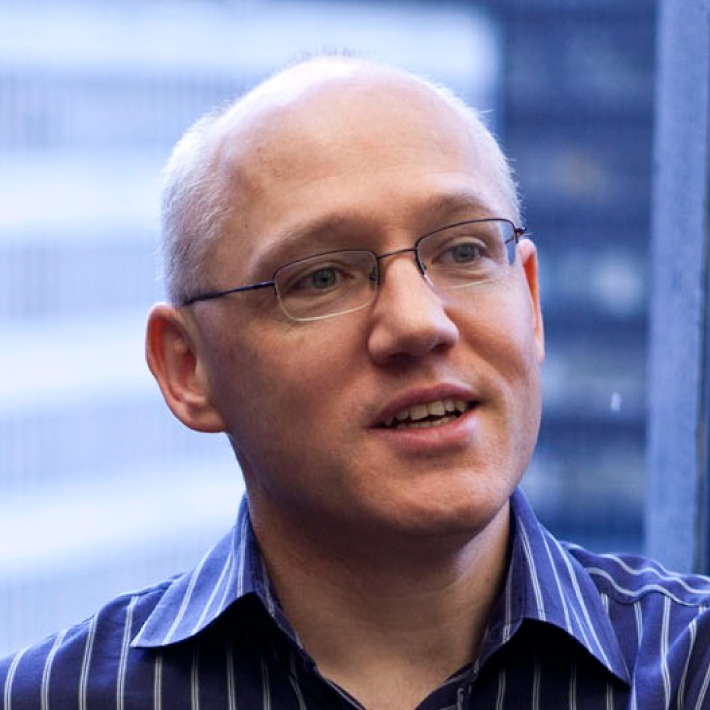 Launch Bold Employee Retention Programs that Work | Visier Inc.
Making drastic changes to talent programs without thinking through the outcomes is like introducing rabbits to the Australian ecosystem: both can bring a myriad of unintended consequences. Consider Jack Welch’s famous Stack Ranking policies, which focused on ranking employees and then firing the lowest 10% of performers. Proponents have credited this approach with a 28-fold increase in earnings (and a 5-fold increase in revenue) at GE between 1981 and 2001. When other companies followed suit and adopted the same approach, it reportedly led to widespread dishonesty, mistrust, and productivity loss among workers. Today — at a time when hiring, new job creation, and voluntary turnover are all at 5-year highs — there is no shortage of examples of CEOs making bold (albeit more “gentle”) talent policy moves: In the wake of high-profile announcements about unlimited vacations and $70,000 annual minimum wage, the CEO of Boxed revealed that he will pay the college tuition for the children of his employees. 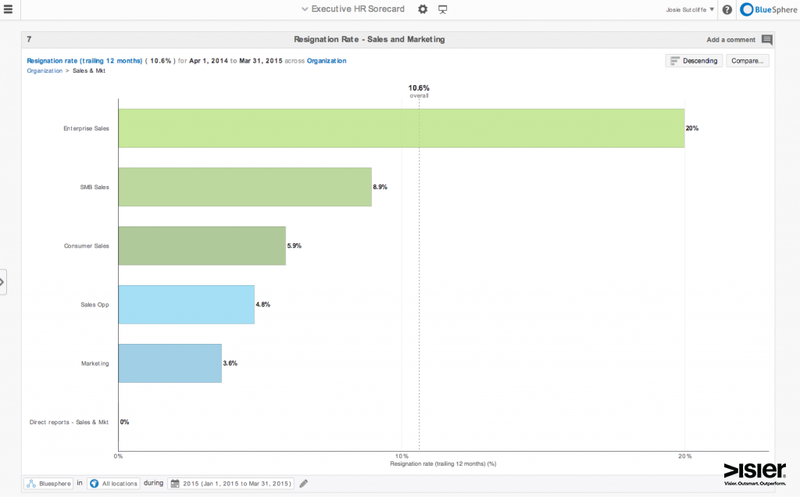 While the jury is still out on whether these workforce management initiatives — already successful from an employer branding standpoint — will improve employee retention or engagement in the long-run, one thing is clear: Hard-to-replicate and well-designed employee retention programs are key to attracting and keeping scarce talent. 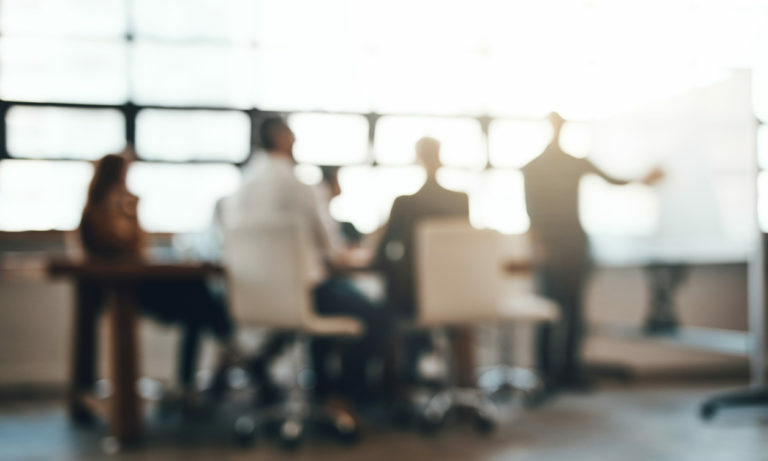 Informed business executives know that talent has the upper hand in today’s market and are going above and beyond to retain the right people. So how do you know these types of bold moves will work and are worth it for your organization? How do you prove it? The key to success here is not just to copy the latest cool idea. To gain maximum returns from program investments, it is important to tap into something that will uniquely work for the employees who make an impact on your business outcomes. Before you start brainstorming solutions, it is important to determine whether you indeed have a problem with your employee retention rates. The overall job market may be hot, but you need to understand whether this is having an impact on your organization’s ability to retain key people. To do this, begin by looking at general trends for employee turnover and resignation patterns. It is important to drill down into key business units, geographies or roles because it is not uncommon to see a huge variance between groups and your overall employee population. 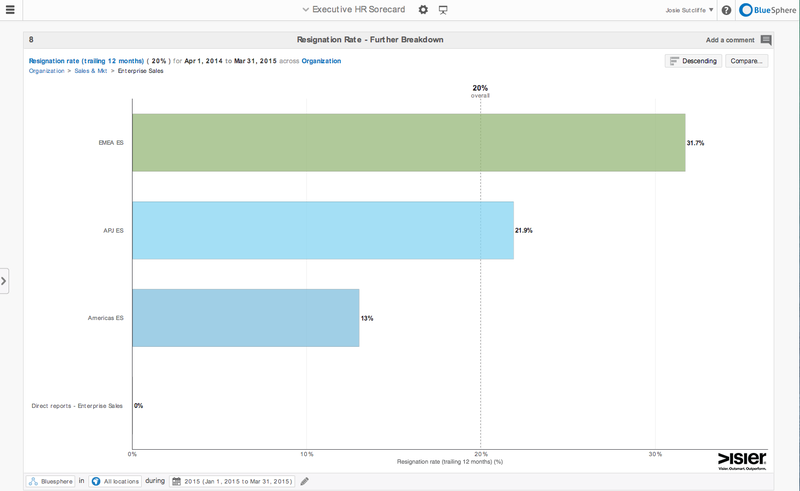 For example, as shown in the screenshot below for a fictional company called Bluesphere, you may have an overall resignation rate of 10.6%, but if you drill down by department, you may discover that Enterprise Sales, which has a direct impact on business revenues, has a resignation rate of 20%. And if you further drill down into Enterprise Sales, you may further discover that very specific regions — in this case the “EMEA ES” segment of Enterprise Sales — has an even more significant retention problem, as shown below. A good rule of thumb is that if you are seeing increases in turnover of over 3-5%, then you have a trend that indicates a problem. In our example (see below), the “EMEA ES” team’s resignation rate increased by a dramatic 20+ percent in 2013, a sure sign of a problem. But remember: resignation rates are seasonal. You need to take this into account by using a calculation that looks at a rolling 12 month average. 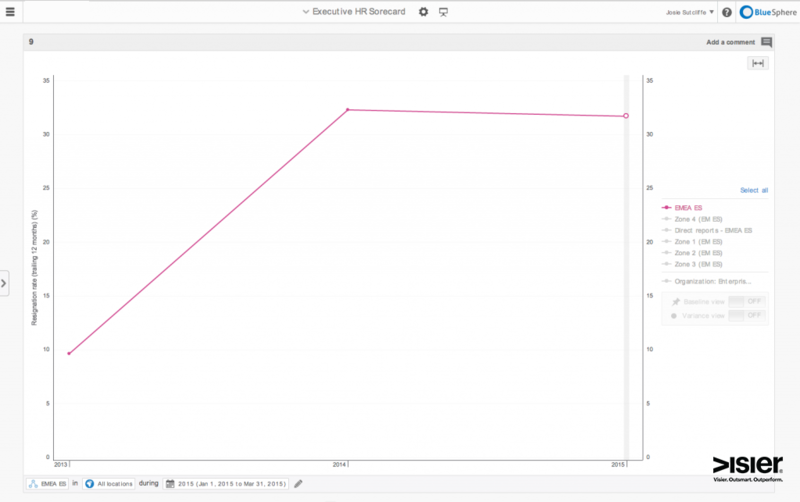 This will smooth out peaks and valleys and give you a clear view of actual past trends. Implementing a one-size-fits all retention program is the antithesis of strategic HR: not all turnover is bad, particularly when it is occurring among low performers in non business-critical positions. Once you have determined which general groups are experiencing high rates of turnover, you need to ask: What is the population that has a high impact on business outcomes and is at highest risk of leaving? 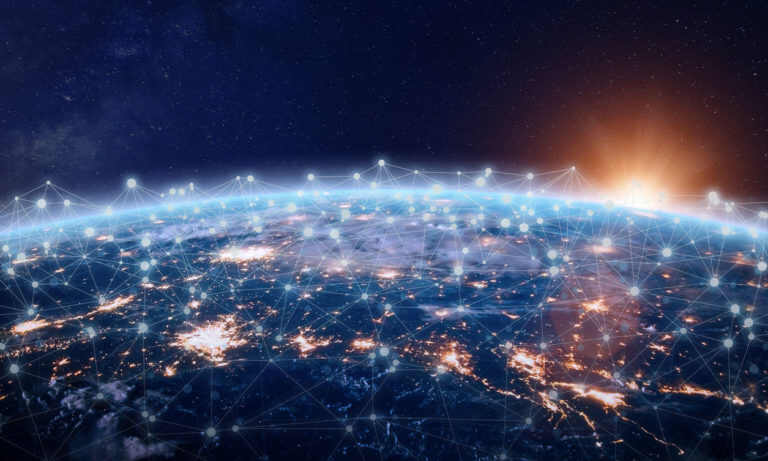 Keep in mind that workforce analytics is as much about business acumen as it is about data: if you spend all of your time gathering the information, you will have less time to make decisions based on a solid understanding of who drives revenue or delivers products. This is where having an ecosystem of data that pulls together records from the HRIS (Human Resources Information System), ATS (Applicant Tracking System) and TMS (Talent Management System) can be of benefit: it can enable you to drill down into different dimensions — such as tenure, performance, lead source, pay and potential — in real-time. Now that you know where you need to focus your efforts, you can start crafting an employee retention strategy based on an understanding of what drives away, and what keeps, key people. To get a picture of what motivates a group of people to stay, ask questions such as: Is it career advancement opportunities? Learning and development? Flexible work policies? If you don’t already know, have a conversation with your HR business partners and their leaders. If you have more mature analytical capabilities, you can shortcut through some steps, and use a clustering analysis to look at what is common across people who are resigning. 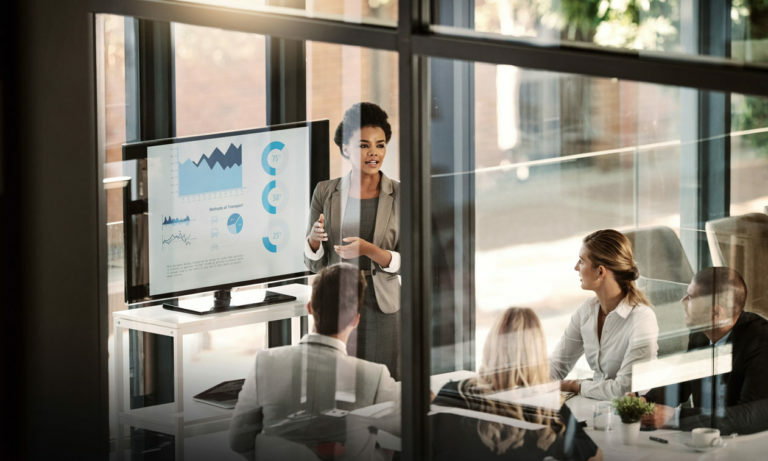 Armed with this knowledge, you can craft your unique employee retention offer — this is where you combine creativity, knowledge of your workforce, and budget information to do something innovative that differentiates your organization as an employer of choice. Before implementing a program, come up with three options, and do some market testing with your employees. This will help you determine which program has the greatest likelihood of succeeding. And now for the moment of truth: Is your initiative working? You should see an effect within 6 months, and it is important to check in as soon as possible so you can correct course if needed. To determine the true impact of your efforts, avoid using program adoption levels as a measure of success. It is important to select KPIs (such as reduced resignation rates, improved engagement scores or relevant productivity measures) that actually reveal whether the programs are acting as levers to improve business performance. You can also compare the results to those of more traditional retention tactics, such as retention bonuses. 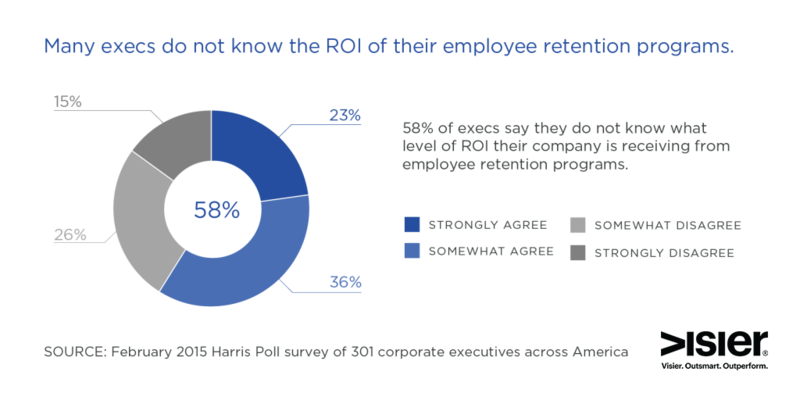 Recent data indicates that organizations sometimes struggle with retention program measurement: 58% of execs say they do not know what level of ROI their company is receiving from employee retention programs, according to a survey we conducted with Harris Poll. This perception can be due to two reasons: either HR is not collecting the data and presenting it in a compelling way or organizations are not implementing the right programs that will actually improve business performance. By following all of the above steps, you can address both of these areas. The new approach to HR requires evidence to support a well-crafted program — aimed at a key business outcome — which is monitored and adapted constantly. Before rushing to introduce a new set of variables into your complex workforce environment, stop and adopt a more scientific approach to the design and implementation of these programs. This way you will get full support for what your business really needs: employee an retention program that works.